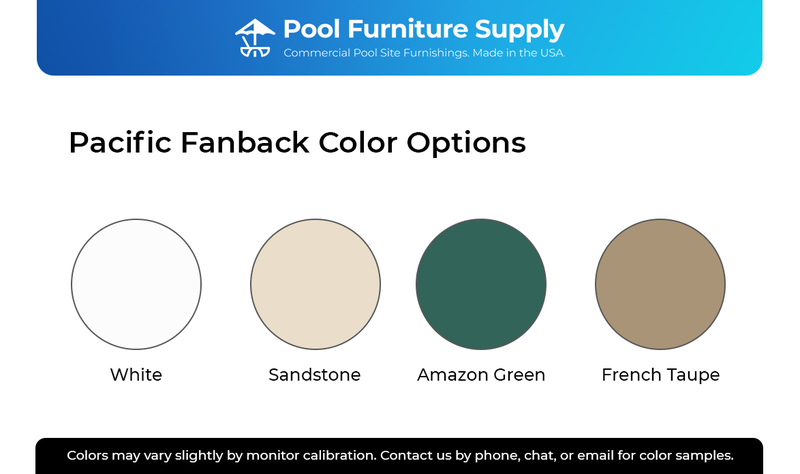 Our Pacific Fanback Classic Dining Set is the perfect option for those looking to replace or furnish their venue with ease. Four Pacific Fanback Plastic Resin Dining Chairs are included in this set. 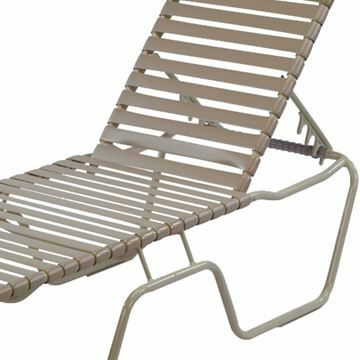 These chairs feature a solid one-piece molded prime resin construction and are highly resistant to environmental effects such as salty air, chlorine and some stains making it perfect for beachside resorts, hotels and pools across the nation. 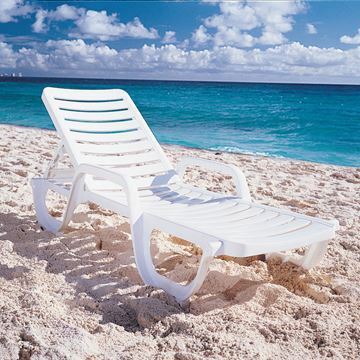 No matter if the weather is hot or cold these chairs will always stay cool to the touch and last for many years to come. They also neatly stack together for a convenient storage solution. 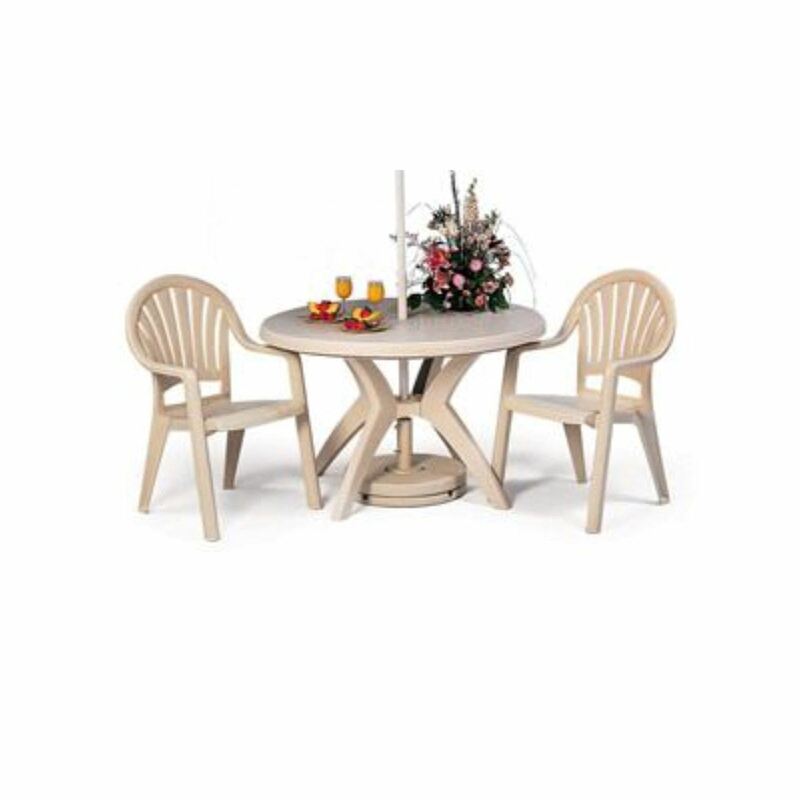 Ensuring your customers have a place for their belongings or for an area to eat, a 46" Ibiza Round Plastic Resin Dining Table is also included to complete the dining set. This table comes with a tulip styled plastic resin base for increased stability is is spaced perfectly for the dining chairs. 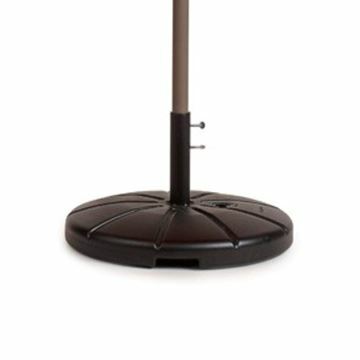 The 46" top is also made of the same high quality plastic resin as the base and features a 1 1/2" umbrella hole for any standard 1 1/2" umbrella pole. 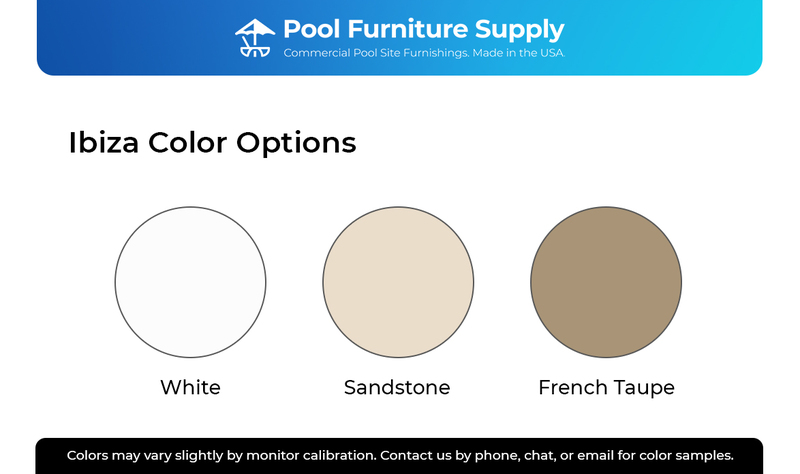 Both the dining table and chairs are easy to clean with just a simple soap and water solution and come in a variety of matching color options. A 1-year and 5-year commercial warranty is included with the purchase of the dining table and dining chairs respectively. A minimum order of 4 is required. • Commercial Grade Plastic Resin Construction - Both Table & Chair!